BAC2996. 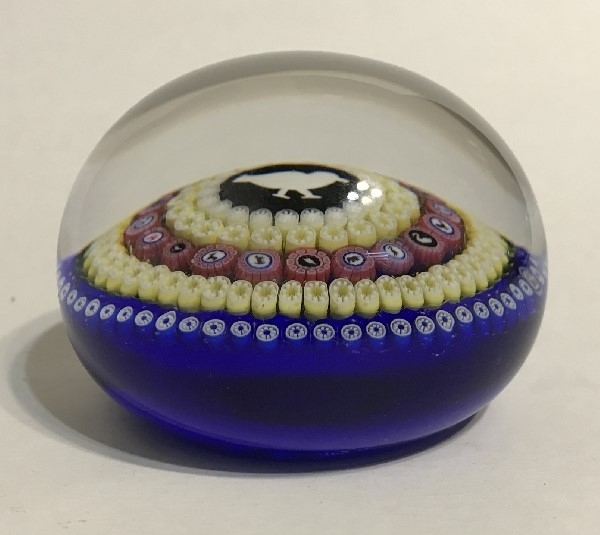 1979 Baccarat Gridel paperweight displaying a central pigeon surrounded by five rows of millefiori canes including eighteen total smaller silhouettes. 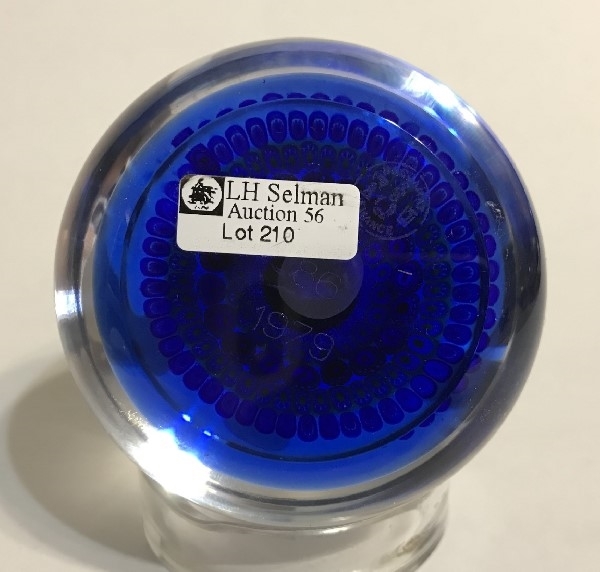 Signed with a “B1979” signature/date cane and also signed with the Baccarat acid-etched insignia. 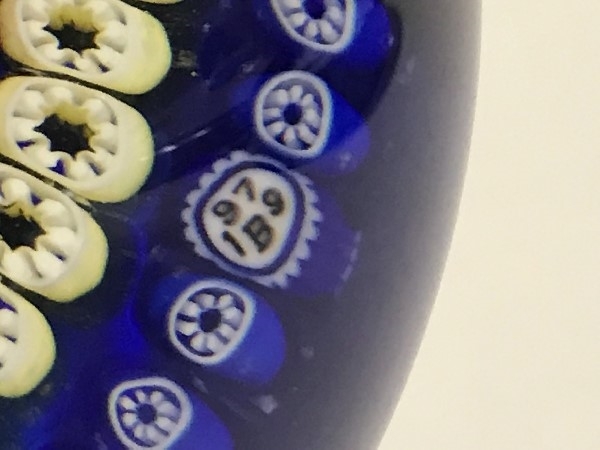 It is also numbered 86 from a limited edition size of 350. 2 7/8” diameter, 2 1/8” tall. 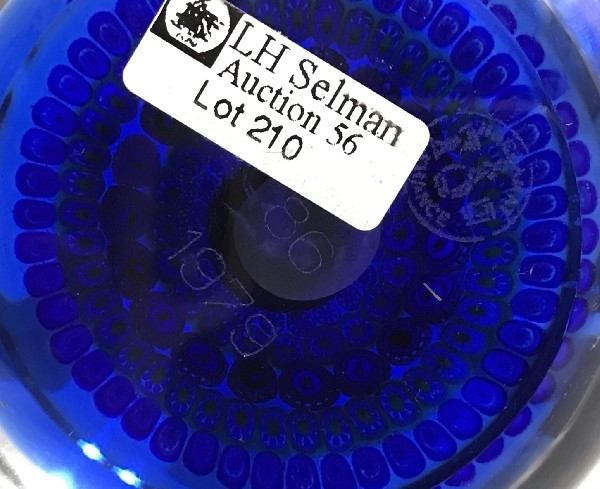 Retains Selman auction label.